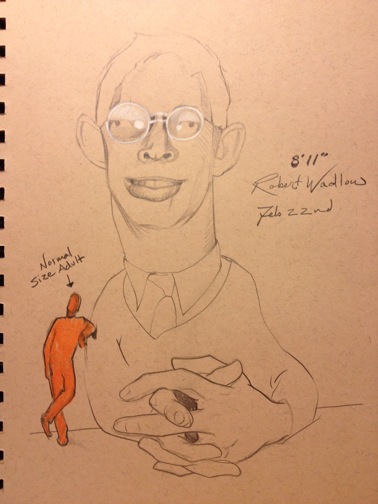 Robert Wadlow | Randy McQuien, Jr. I remember being fascinated by the Guinness Book of World Records when I was in elementary school. One record that stood out to me was Robert Wadlow. He was the tallest man at a staggering height of 8 feet 11 inches. Amazing! Here’s to you Robert Wadlow. Happy Birthday! He would be 95 today.